inserting a custom object Audit__c record via LightningDataService. on successful insert calls a server-side controller method, passing one String parameter, auditId. The Server-Side controller then queries the database for an Audit__c record WHERE Id=: auditId. This query is returning 0 rows. I've validated that the string being passed to filter the query is indeed the correct Id of the newly created Audit__c record. Why isn't the SOQL query picking up the new Audit__c record even when being fed the right Id (as String). Is there some sort of casting issue that is causing Apex not to match the String filter value to a record Id? "message": "The audit was successfully initiated." Not the answer you're looking for? 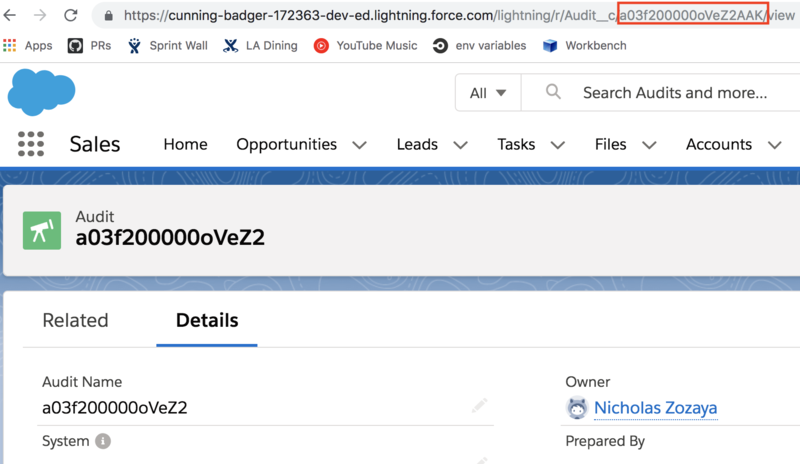 Browse other questions tagged apex lightning-aura-components soql or ask your own question. Possible to use bind :variable inside SELECT clause?